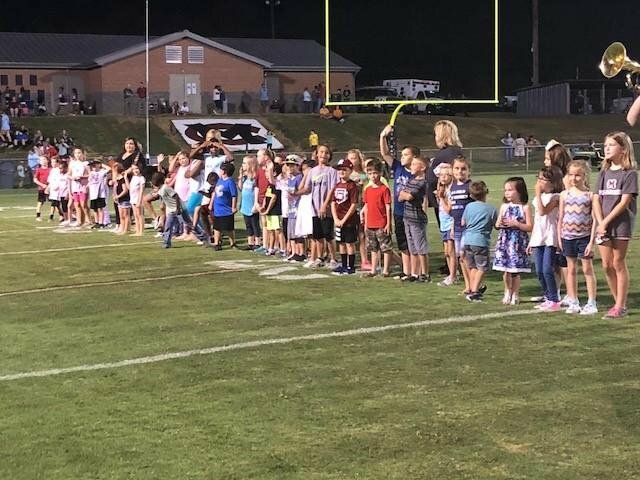 Students from Prosperity-Rikard Elementary, Pomaria-Garmany Elementary, and Little Mountain Elementary were honored on Friday, September 7, 2018, at the MC vs B&L varsity football game, for reading and submitting their logs from the summer months. They were each given a free ticket to the game and were recognized by their names being called out during halftime. We are so proud of them for continuing to read over the summer.